I’m a fan of the concept of George Lakoff’s “Truth Sandwich” idea in journalism. I’m curious with his recent spate of great publicity for it if any major outlets have taken it directly to heart? Are there any examples of major newspapers or online publishers taking it closely to heart? Has George or anyone created a news feed or Twitter account of articles covering Trump (or topics like the Alt-right, Nazis, etc.) that highlights articles which pull off the idea? I’d love to support journalism which goes to greater lengths to think about their coverage and it’s longer term effects. Having an ongoing list of articles as examples would help to extend the idea as well. It would be cool to have something like NewsGuards’ browser extension for highlighting truth sandwiches, but I’m not sure how something like this could be built to be automated. 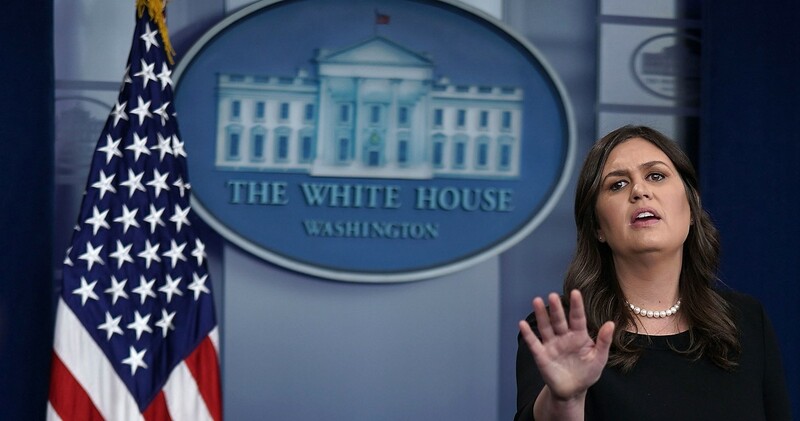 The best example of a truth sandwich I’ve come across thus far actually went a few steps further than the truth sandwich and chose not to cover what was sure to be untruth from the start: MSNBC declines to allow Sarah Sanders to dictate its programming (Washington Post). Journalists have become complicit in spreading the president’s falsehoods and conspiracy theories. Here’s how they can do better. Either George Lakoff has gotten himself a great publicist, or journalists are starting to get wise to his message and spread it far and wide. This has to be the second or third article about some of his ideas I’ve seen in as many days. A linguist explains how Trump uses lies to divert attention from the "big truths." I like that he delves into the idea of enlightment reasoning here and why it doesn’t work. This section of this article is what makes it a bit different from some of the interviews and articles that Lakoff has been appearing in lately. The key words being “free press” with free meaning that we’re free to exert intelligent editorial control. Editors in the early 1900’s used this sort of editorial control not to give fuel to racists and Nazis and reduce their influence.Cross reference: Face the Racist Nation from On the Media. Apparently we need to exert the same editorial control with respect to Trump, who not incidentally is giving significant fuel to the racist fire as well. President Donald Trump has "turned words into weapons" -- and journalists are providing additional ammunition. That's according to Trump critic George Lakoff, a renowned linguist and professor emeritus at the University of California at Berkeley. Lakoff wrote in a recent article for the Guardian that the president manipulates language to control the public narrative. The press, he said, functions as a sort of "marketing agency for [Trump's] ideas" by repeating his claims, even when trying to fact-check or debunk his statements. "By faithfully transmitting Trump's words and ideas, the press helps him to attack, and thereby control, the press itself," he writes. 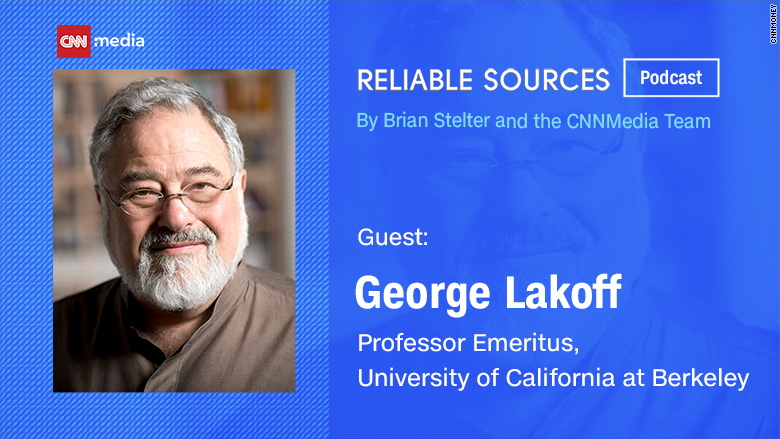 As the guest on this week's Reliable Sources podcast, Lakoff spoke to Brian Stelter about Trump's linguistic frames, what the press should do differently, and why journalists need to tackle Trump's words like a "truth sandwich." Lakoff said the president manipulates language to control the public narrative. The esteemed academic discusses Trump supporters who stay faithful to him even when he works against their material best interests and well-being. Dr. Lakoff does a solid job of dissecting Trump’s communication style and providing some relatively solid advice to journalists and media outlets who aim to disrupt what Trump is attempting to accomplish. The discussion of morality and its role in our political system, albeit brief, was incredibly interesting. In the last third of the interview, Lakoff provides an interesting reframing of much of the public/private case that Jacob Hacker and Paul Pierson make in their recent book American Amnesia. Apparently there is another interview Smiley’s done with Dr. Lakoff. I can’t wait to watch it. I certainly would have appreciated an extended hour or two of their conversation. I can see people like Jay Rosen and Keith Olbermann appreciating these interviews if they haven’t seen them. This was so solid that I actually watched it a second time. It may also be time to dig into some of Lakoff’s other writings and research as well. Some of it I’ve read and seen before in general terms, but it’s probably worth delving into more directly.